The “European” Tour now moves to the other side of the planet and pitches up in Western Australia at the Mike Clayton designed Lake Karrinyup, which is one of the hilliest championship courses in Australia. Don’t be surprised if you see a couple of kangaroos on your TV while watching this week’s event as they are allowed to roam freely on this track. Maybe you should put your money on anyone named Joey this week! The wind will be a factor here with the course being just over a mile from the sea and the wide fairway puts the emphasis on being in the right position to attack the flag with your approach shot. The greens vary in size from the tiny green on the par-3 12th hole to the biggest green at the uphill 6th holes, which is the hardest hole on the course. With the changes in elevation, the magnificent eucalypts trees and of course those roaming kangaroos, it is a beautiful setting to start this leg of the European Tour. 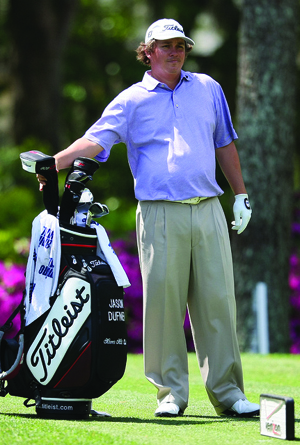 The bookies have made Jason Dufner 11/2 their favourite and its hard to disagree with them, the lad from Cleveland Ohio has been in great form after coming to prominence at last years PGA Championship and his Solid Ryder Cup showing, two wins and six other Top 10 finishes put him top of my picks. Local lad and European Tour regular Brett Rumford 25/1 should feel right at home this week, hopefully the added pressure of being back on home soil will spur him on rather than hinder him. Brett has been playing great golf as his recent record of three Top 25 finishes in his last five tournaments testifies. Those of you who follow this guide regularly will know that we have tipped Scott Jamieson 50/1 a few times after he broke through from the Challenge Tour. Scott has been playing well recently finishing just outside the Top 10 last week in Portugal and a Top 5 finish in Holland. Depending how the flight to Australia affects him, he could do well here this week. 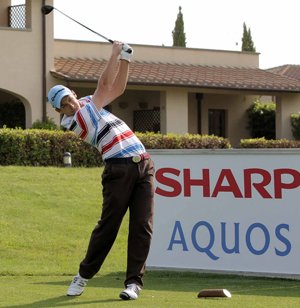 Lorenzo Gagli 50/1 has been coming back into form and finished joint twelfth with Scott Jamieson in Portugal, he also finished inside the Top 20 in Holland and three other Top 35 finishes make up his last five events, you can see the progression the Italian is making and hopefully we will see that progression continue here this week. Mikko Iionen 80/1 has had a bit of return to form over the last couple of weeks after what must have been a horrendous time for the Fin, when he missed three cuts on the spin and qualifying for the Open Championship. But two tied 27th place finishes and a tied 22nd place finish in his last three tournaments, hopefully sees a return to form for someone who has yet to fulfil his undoubted potential. Michael Hendry 100/1 is currently the order of merit leader on the Australasia tour and just finished in seventh place at the Nanshan China Masters, closing with two final rounds in the 60s to finish just behind Louis Oosthuizen.